Commitment: the state of being emotionally impelled to do something. My commitment is to making art, loving life and doing well. Daily Artworks... my continuing challenge for 2015: Observe and record. Record and observe. And stretch - s-t-r-e-t-c-h - myself. 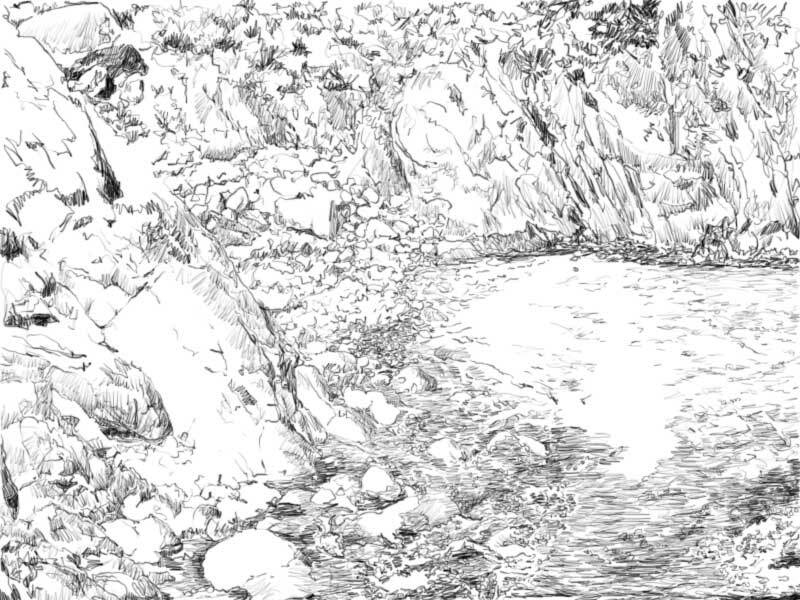 Drawings are made up of marks of different sizes and shapes that resolve in the viewer's mind and suggest the experience of looking at something tangible - in this case, the rocky textures along a riverbank, above and below water. Wow! This is very nice and looks like a great deal of work. These are preliminary drawings for a painting, and I am very pleased with the challenge of art every day for a month. Thanks for your encouragement... I am finding that the process of working every day on a theme - AEDM - is a great experience for growth. I am glad to hear from you!